FREE 32 Oz. Fountain Drink At Stripes! You are here: Home / FREEbies / FREE 32 Oz. Fountain Drink At Stripes! 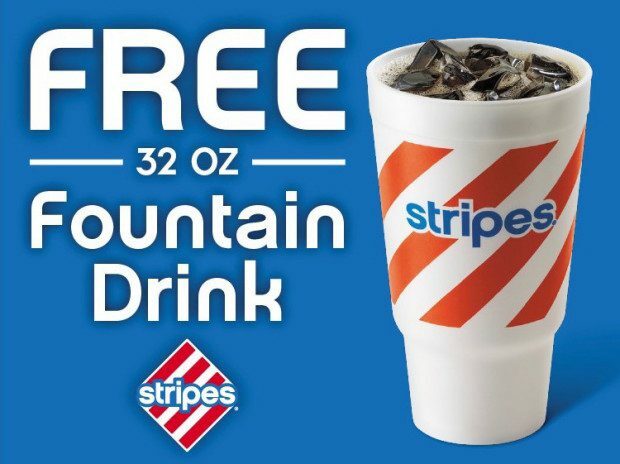 If you live near a Stripes convenience store, print and redeem this coupon for a FREE 32 oz Fountain Drink at Stripes stores. Valid 4/18 – 4/19 only! Locator.